[Boston, MA – November 3, 2014] MASTERPIECE and PBS today announced exciting news for fans of British drama: more hours of MASTERPIECE are coming to PBS stations nationwide. In 2015, viewers can continue to tune in to the series during its longstanding Sunday at 9pm time slot, and also enjoy at least 20 additional hours of new programming—with some shows at 8pm, others at 10pm—throughout the year. Guaranteed to satisfy the US audience’s ever-increasing appetite for great British drama, MASTERPIECE’s expanded schedule is funded by an exclusive corporate sponsorship with Viking River Cruises. Viking has been a sponsor of the series at 9pm on Sunday evenings since 2011. MASTERPIECE, which is produced by WGBH/Boston and has aired on PBS since 1971, has seen a surge in popularity in recent years. The audience for the 2014 season is up over 100 percent from 2010, and according to a 2014 public television survey, over 70 percent of members cited MASTERPIECE as their favorite show. The enlarged MASTERPIECE footprint kicks off with Grantchester, a six-part mystery premiering Sunday, January 18, at 10pm, following new episodes of Downton Abbey. Already a hit in the UK, Grantchester stars James Norton (Happy Valley) as a charismatic young clergyman and Robson Green (Wire in the Blood) as a down-to-earth cop who team up to fight crime in the beautiful hamlet of Grantchester in 1953. Based on the acclaimed mystery novels by James Runcie, the young vicar is styled after Runcie’s late father, who was Archbishop of Canterbury in the 1980s. On April 5, three-time Tony® Award-winning actor Mark Rylance (Twelfth Night) and Emmy® Award-winner Damian Lewis (Homeland) star as Thomas Cromwell and Henry VIII in Wolf Hall, a highly anticipated adaptation of Hilary Mantel’s Booker Prize-winning novels Wolf Hall and Bring Up the Bodies. The six-part series charts the shrewd and brilliant rise of Cromwell in the Tudor court — from a blacksmith's son to Henry VIII's closest advisor. Other MASTERPIECE programming scheduled for 2015 includes: The Manners of Downton Abbey, a behind-the-scenes look at the world of Edwardian manners with Alastair Bruce, historical advisor to Downton Abbey; a third series of the popular Mr. Selfridge starring Jeremy Piven; a stunning new adaptation of the 1970s blockbuster Poldark, starring Aidan Turner (The Hobbit, Being Human); and the sumptuous drama Indian Summers, set in the waning years of British colonial rule in 1930s India. Funding for these programs is provided by Ralph Lauren Corporation and Viking River Cruises. Grantchester is a Lovely Day and MASTERPIECE co-Production for ITV. Diederick Santer is executive producer. Wolf Hall is a Company Pictures and Playground co-production for BBC Two and MASTERPIECE in association with BBC Worldwide. Colin Callender is executive producer. Mr. Selfridge is a co-production of ITV Studios and MASTERPIECE, based on "Shopping, Seduction & Mr. Selfridge" by Lindy Woodhead. The Manners of Downton Abbey is a Carnival Films, Chocolate Media, and Masterpiece Co-Production. Downton Abbey, Season 5 is a Carnival Films/Masterpiece Co-Production. Indian Summers is a Channel 4 and Masterpiece co-production. Additional funding for the expanded MASTERPIECE schedule is provided by PBS and WGBH. MASTERPIECE is presented on PBS by WGBH Boston. Rebecca Eaton is Executive Producer for MASTERPIECE. 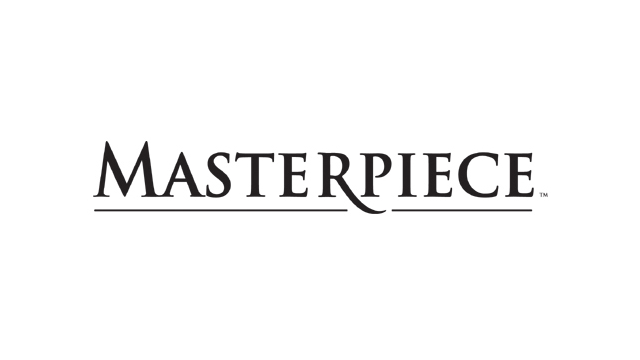 Funding for MASTERPIECE is provided by Viking River Cruises and Ralph Lauren Corporation with additional support from public television viewers and contributors to The MASTERPIECE Trust, created to help ensure the series’ future. Exclusive corporate funding for Grantchester and Wolf Hall is provided by Viking River Cruises. More information about MASTERPIECE, including limited online streaming beginning the day after broadcast, at pbs.org/masterpiece. Follow MASTERPIECE on Twitter and Facebook. Viking Cruises offers destination-centric river and ocean cruising designed for experienced travelers with an interest in geography, culture and history. Featuring onboard cultural enrichment and included shore excursions, Viking’s journeys are competitively priced for genuine value. Debuting its maiden season of ocean cruising in 2015, the sophisticated state-of-the-art Viking Star will host 930 guests on itineraries in Scandinavia and the Baltic; the Western and Eastern Mediterranean; and the British Isles. Two additional ocean ships, Viking Sea and Viking Sky, will debut in 2016. As the world’s leading river cruise line, since its 1997 inception the company has grown to a fleet of 53 river vessels (in 2014) offering scenic cruising along the rivers of Europe, Russia, Egypt, China, and Southeast Asia. Viking has been honored multiple times in Travel + Leisure’s “World’s Best” Awards and Condé Nast Traveler’s “Gold List” as well as recognized by the editors of Cruise Critic as “Best River Cruise Line,” with the entire Viking Longships® fleet being named “Best New River Ships of 2012” in the website’s Editors’ Picks Awards. The travel trade has ranked Viking as the “Best River Cruise Line” by Travel Weekly, Recommendand Travel Agent magazines, “Best Cruise Line for Luxury River Cruises” at the Luxury Travel Advisor Awards of Excellence and as “Best Overall Cruise Line for River Cruising,” “Best New River Cruise Ship” and for the sixth consecutive year, “Best River Cruise Line for Travel Agent Support” in the 2014 TravelAge West’s WAVE Awards. For additional information, contact Viking Cruises at 1-855-8-VIKING (1-855-884-5464) or visit www.vikingrcruises.com. To join the Viking communities online, visit www.facebook.com/vikingcruises, www.facebook.com/vikingoceanscruises and www.facebook.com/vikingrivercruises.